These days, many would rather stay indoors and catch up on the latest flicks than go for a drive with their car windows down and their hair blowing in the wind. In a bid to get drivers back behind the wheel, BMW’s MINI has decided to condense the plotlines of your favorite shows and spoil them for you, much to the chagrin of binge-watchers. Teaming up with advertising agency Pereira & O’Dell, the automotive marque has launched the ‘#MINISpoilers’ campaign, which sees it unraveling the endings of Game of Thrones, Stranger Things, Westworld, and more. 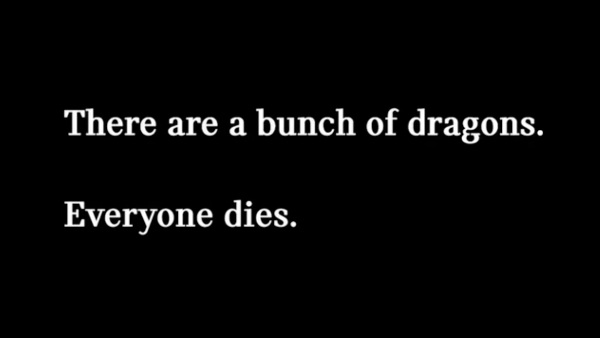 “There are a bunch of dragons. Everyone dies,” one post reads. “Girl in the 80s can do anything with her mind… Except make her nose not bleed,” says another. Thankfully, the company doesn’t intend to be too much of an, erm, spoilsport, and has deliberately left out the titles of the series. As its name suggests, the ‘#MINISpoilers’ campaign is just a chain of mini spoilers. Pressed for time? Check out these abridged episodes.